Website is updated periodically. Prices may vary. 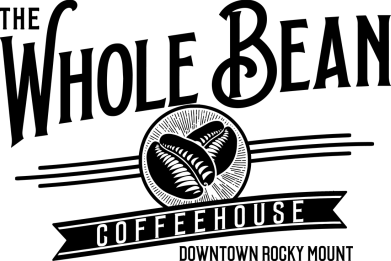 ​Be sure to consult the Coffeehouse for recent changes. Served using locally roasted Red Roaster Coffee. Freshly steeped gourmet organic tea. Espresso (2 oz.) - A double shot of espresso. Cortado (4 oz. )- A double shot of espresso, 2 oz. of steamed milk. Cappuccino (6 oz. )- A single shot of espresso, steamed milk and foam. Affogato- A single shot of espresso, pulled over vanilla ice cream. Red Eye- Fresh espresso, pulled over brewed coffee. (12 oz.) $2.75- A shot of espresso. (16 oz.) $3.25- A double shot of espresso. (8 oz.) $2.25- A shot of espresso. (12 oz.) $2.75- A double shot of espresso. Latte- Fresh espresso with steamed milk. (12oz.) $3.75- A double shot of espresso. (16oz.) $4.25- 2 shots of espresso. 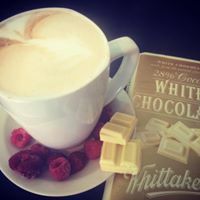 Flavoured Latte- A shot of espresso with steamed milk and flavouring of your choice. Frappes - Fresh espresso, half & half and flavouring, blended with ice. Made fresh to order, featuring Boar's Head meats and cheeses. Served with chips and a pickle. Sliced turkey, cheddar and granny smith apple with dijonaise on sourdough. Sliced turkey, sauerkraut, swiss cheese, with thousand island dressing, on rye. 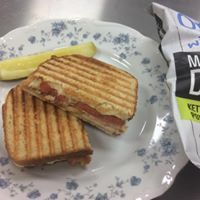 Sliced ham and swiss with your choice of mayo and spicy mustard, or honey mustard dressing, on sourdough. Melted havarti and cheddar cheeses, with tomato and bacon. ​Chicken tossed in buffalo sauce, green onion, colby jack cheese, and blue cheese dressing, on sourdough. Sliced chicken breast, swiss cheese, baby spinach, house-made pickled red onions, and an apricot / dijonaise sauce. Mozzarella, tomato, basil pesto, balsamic reduction, on sourdough. Philadelphia cream cheese, pepper jack cheese, bacon and fresh jalapenos on sourdough bread. Made fresh to order, served warm (except *), featuring Boar's Head meats and cheeses. Gluten free wraps available. Served with chips and a pickle. Chicken breast, parmesan cheese, romaine lettuce, and crouton crumbles, with caesar dressing. Featuring John K's famous curried chicken salad, made with red onions, celery, cashews, cranberries, and romaine lettuce. Guacamole, lettuce, tomato, cucumber, red onion, carrots. Balsamic dressing on the side. Can add cheese for vegetarian. Sliced turkey, bacon, lettuce, tomato, with mayo and a dash of hot sauce. Sliced chicken breast, colby jack cheese, bacon, BBQ sauce. Chicken breast tossed in buffalo sauce, green onion, colby jack cheese, tomato, and ranch dressing. 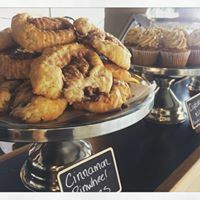 All baked goods are baked in-house, and from scratch. Availability will vary. Delectably moist, with an all butter frosting and using house-made vanilla. Moist and delicious like our cupcakes, and prettier on the plate. Delectably delicious sour cream-vanilla coffee cake, laced with pecans, brown sugar and cinnamon. Chewy chocolate chip cookies, with the perfect balance of sweet and salty. ​Moist and super fudgy. Toppings will vary. White Chocolate or Coconut. Available with or without Raspberry. Gluten free (but doesn't taste like it!) and made with almond flour, it's light and delicious. Served with a dollop of whipped cream. Seasonal flavours, limited availability. Made with a handmade all-butter crust. Select availability, baked fresh in the morning. Cheddar and Chive, Blueberry-Lemon or Cinnamon Pinwheel. 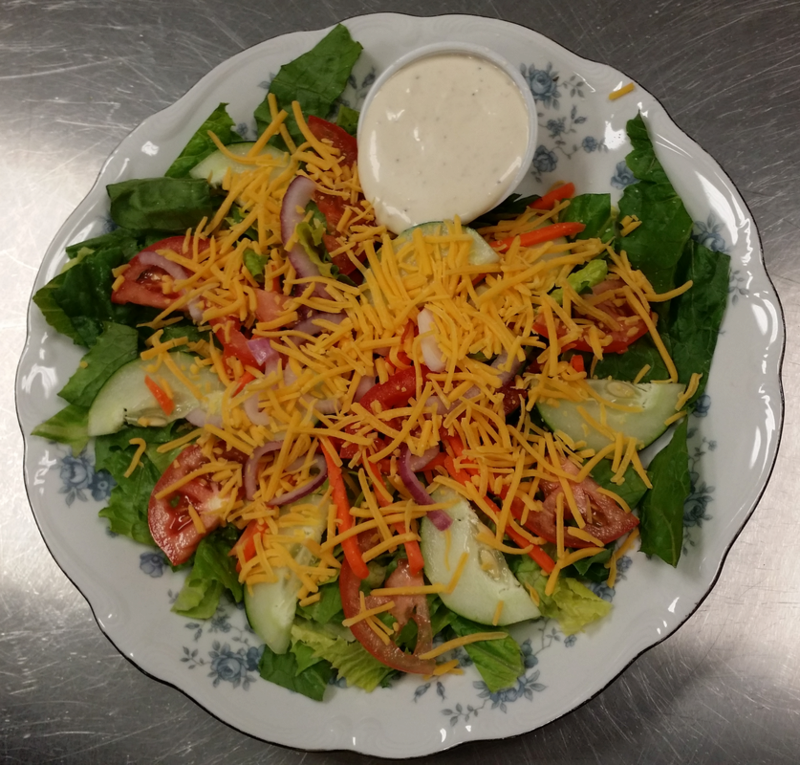 Lettuce, tomato, green onions, carrots, celery, cheddar cheese and chicken tossed in buffalo sauce. Served with your choice of ranch or blue cheese dressing. Lunch or Caesar salad, in a side salad portion. Half-sized portion with small bag of plain chips. 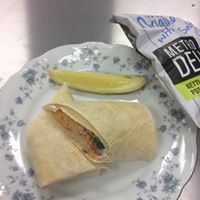 Chicken, Cheese and Ranch Wrap. Strawberry, Acai and Soda water over ice. Soda water and fruit puree over ice. Choose from our available syrup flavours. Made with real fruit and fruit puree. No sugar added. Menu items and prices are subject to change, and availability may vary. Be sure to follow us on Facebook and Instagram to keep up to date with new items that become available.